When organising a stag do, ideally you want to make good decisions, quickly. Although party planning is not one of the services we provide, we can lend a hand with one important aspect – the transport. Here are some things to consider when choosing the right mode of transport for your stag do or stag weekend in Edinburgh. What’s your budget? Your budget will dictate what kind of transport you can organise for the stag do. Do a bit of research into what you can get for your money and keep an eye out for discounts or special offers for groups. What do you want from your stag do transport? Do you simply want to get the group from A to B, or do you want the journey to be part of the experience? 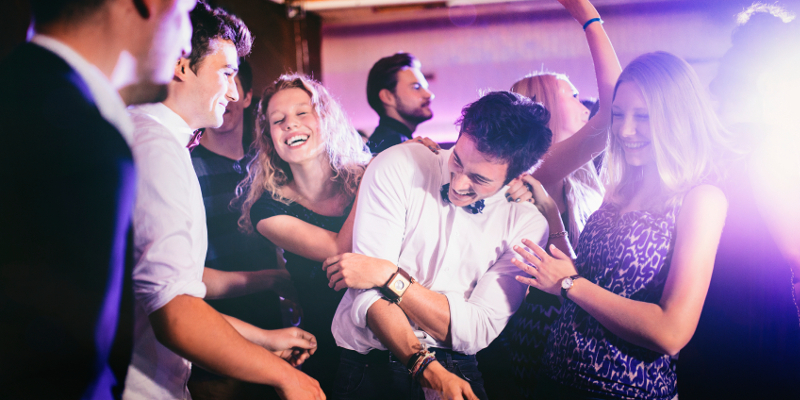 If it’s the latter, travelling all together is a great way to get the group into the party spirit straight away. How big is your party? The number of people invited to the stag party will affect the type of transport you need. For smaller groups regular cars or taxis may be entirely suitable, while for larger parties, people carriers or minibuses will be more appropriate - and more fun! How much luggage will the group have? If you require plenty of room for luggage for your stag weekend, this will affect which transport option is the most suitable for your group. Ask private hire companies you are interested in how much luggage space they can offer you. Capital Cars’ minibuses and people carriers are spacious but we can also provide a trailer for luggage if required. What’s your schedule? Using public transport comes with the risk of delays or cancellations. If it’s important that you get to your destination on time, be sure to take this into account when booking transport. Capital Cars provide a group travel service which is particularly popular with stag dos and hen parties. Browse our website for more information and book your party transport today!